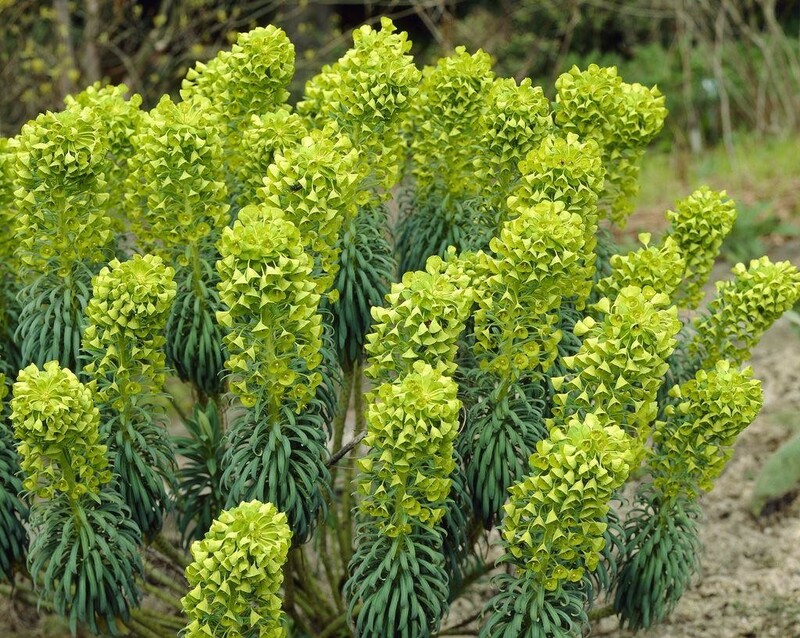 This architectural perennial is perfect for adding a touch of drama to the border. 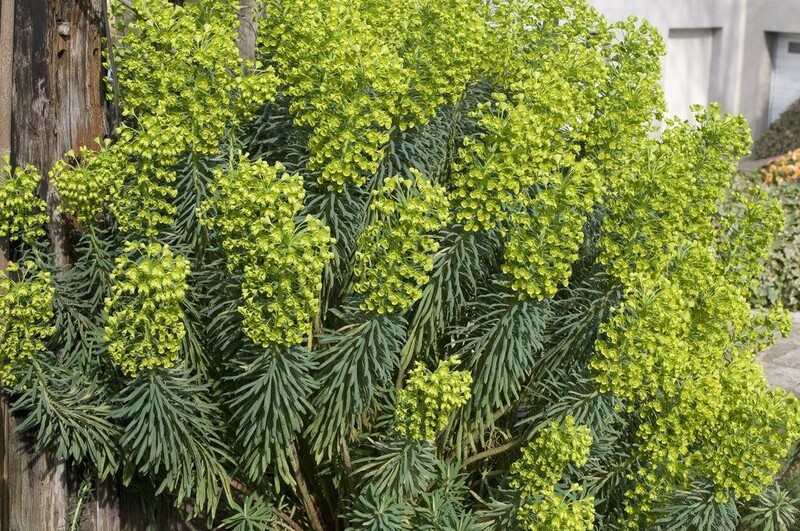 Bluish-green foliage looks fresh all year round, and in early summer it is joined by large, dome-shaped, lime-yellow flowers that tower above it. The bright reds and oranges of kniphofias make perfect partners. Plants enjoy a sunny, well-drained spot, making them the perfect choice for a gravel garden. Cut down the flower stems to ground level as the blooms fade. Supplied in approx 3 litre containers.